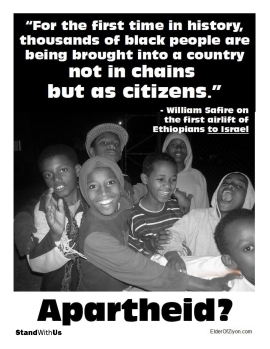 Israel Truth Week | This is an archive only. Type www.IsraelTruthWeek.org into your browser to reach our new site. This site is maintained as an archive. Visit Israel Truth Week’s new and exciting mobile-responsive site at www.IsraelTruthWeek.org. Front of LeadNow brochure handed out by LeadNow volunteer at the event in which they claim they did not participate. Click to download PDF of both sides. 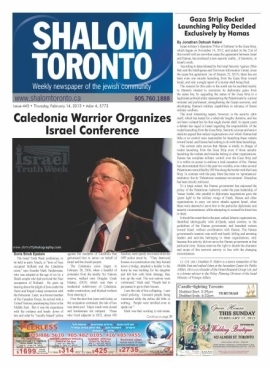 UPDATE, Oct 7/15: A source has sent Israel Truth Week a copy of minutes for a January 2015 meeting attended by David Heap, Council of Canadians, NDP candidate for London North Centre German Gutierez and… two LeadNow organizers. Keep this in mind as you’re reading the denial of involvement by LeadNow’s Eastern Field Organizer below. Israel Truth Week is pleased to say that our effort in having an anti-Harper rally in London, Ontario relocated off the grounds of the Western Fair District (WFD) Farmer’s Market not only resulted in a pitifully small display of anti-Harper venom due to a lack of traffic from market visitors, but also attracted the attention of the large, U.S.-funded (in part) Canadian leftist activist organization LeadNow (leadnow.ca). LeadNow is actively engaged in strategic vote-splitting campaigns in various Conservative ridings across Canada, including London North Centre where Susan Truppe is the sitting MP — where the Heap rally was being held. The woman on the left is wearing a purple LeadNow shirt. She approached ITW’s Mark Vandermaas, handed him a LeadNow brochure, and asked him to sign a vote pledge for LeadNow’s strategic voting campaign against the Conservative candidate in London North Centre. But, LeadNow later claimed they did not participate in the event. The woman to the right is holding a handmade sign with the LeadNow name that is referring to LeadNow’s strategic voting pledge campaign. Thanks for the polite letter. Seriously. Although I oppose your position(s), I do take care to be accurate. This isn’t my first rodeo; I spent 6+ years working full time fighting racial policing in Caledonia where we went up against some vicious lying bullies led by a guy out of York U, and we had to work with media. We had a reputation for telling the truth. I’m aggressive, but I try to be careful and factual in what I write, and I apologize when I’m wrong (doesn’t happen often). 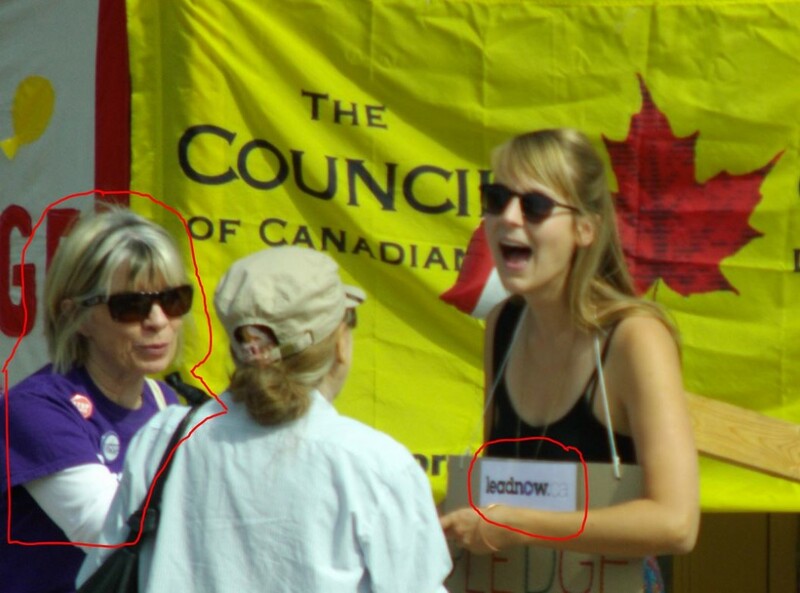 UPDATED Sept 27/15: LeadNow denies any connection to anti-Harper event, but facts show otherwise! UPDATED Sept 25/15: anti-Harper event moved off WFD property. 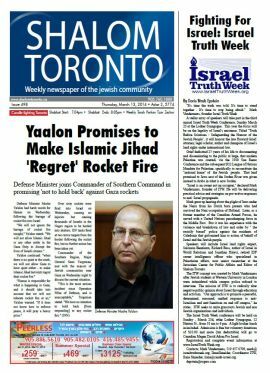 Israel Truth Week is pleased to announce it played a key role – after being tipped off by a supporter – in shutting down a planned anti-Conservative rally set for this Saturday, Sept 26 at London (Ontario)’s Western Fair District Farmer’s Market, a public-private partnership that has 3 London councillors on the board of advisors for programming. The rally was organized by David Heap and ‘hosted’ by the Council of Canadians. Heap is a Western University professor who was one of the so-called ‘delegates’ on-board the failed (but no less shameful) 2011 ‘Boat to Gaza’ which was trying to break Israel’s blockade of weapons to the Jew-murdering Hamas terrorists. The event was set to take place between 12-2pm. We were very concerned about this venue being used for partisan politics and wanted to ensure that the WFD knew what was planned and had given their permission. They hadn’t. 1. 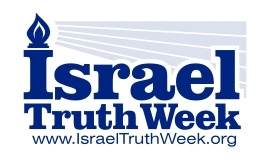 Click here to check out 2015 Israel Truth Week events. If you have an event you’d like listed, check out this page. 2. Israel Truth Week is moving into the next phase of its development. After producing three very successful conferences since our first in 2012, we are about to focus on a very special project (more below) while maintaining what Israel Truth Week was always intended to be: a unified ‘brand’ name and event listing service for people holding events held to counter the hateful Israel Apartheid Week. Our vision was that people all over the world would hold their own events as part of Israel Truth Week, use our logo to identify their participation, and list their events on the site. a. It was always our plan to do this. b. We prefer to fill critical needs that are not well-served and/or support others doing good work rather than replace or compete with them. c. We believe, given the dire state of Israel’s reputation, that we need to focus on what we think is the most critical initiative, one that is virtually ignored by most pro-Israel advocates: destroying the false ‘occupation’ narrative and promoting a moratorium on all peace initiatives and land give-aways via our ‘NO PEACE WITHOUT TRUTH’ campaign. We believe that doing so is the only way to restore Israel’s reputation, and we see this as a critically underserved endeavour. TRAINING VIDEO: We have produced a training video of CILR co-founder Salomon Benzimra speaking about the Mandate’s history and common objections at the 2014 Israel Truth Week conference. INFO-POSTER: We have created a downloadable 20×28″ ‘info-poster‘ that can also be printed as a flyer on 8.5×11 paper. NEW PLATFORM: We will be moving to a new platform that will integrate social media, petitions and events (you’ll be able to upload your own events!). FUTURE INITIATIVES: More protests, rallies, and training. Special days (i.e. 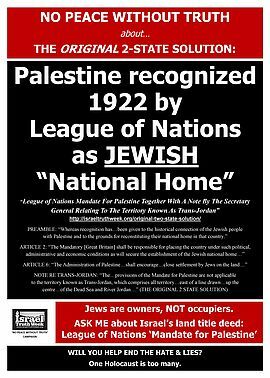 Mandate For Jewish Palestine Day). As funds allow, we will produce related ads, billboards and training events, and more. So far, there are 2 great(!) upcoming events listed for 2015 Israel Truth Week (Feb 22 and March 15 in Toronto); be sure to check them out here. 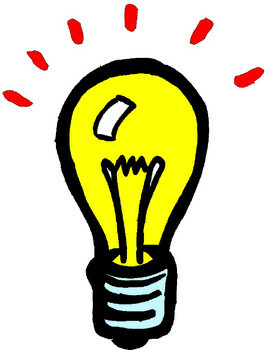 If you have an event of your own you want listed, check out this page..
3. Israel Truth Week really needs your support to keep the project going. We’re grateful for whatever you can afford. You can donate via PayPal or via cheque mailed to: Israel Truth Week, 102-341 Talbot St., London, Ontario, Canada N6A 2R5. 4. Thank you so much to everyone who has supported Israel Truth Week in the past; I am excited about what we will do in the future together. 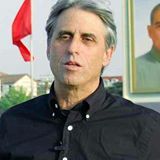 After the Candlelight Walk, acclaimed journalist Martin Himel will speak to the walkers. WALK ENDS: at the Bialik Hebrew Day School Parking lot, 2760 Bathurst Street. COMMUNITY GATHERING BEGINS: 9pm. Featured speaker acclaimed journalist Martin Himel. Hope to see you walking with us! After organizing and supervising their own rally of thousands at the Israel Consulate, Jewish Defence League members and leaders, including National Director Meir Weinstein (holding water bottle left of sign), took time to show support for persecuted Iraqi Christians at a Queen’s Park rally scheduled the same day. CLICK TO ENLARGE. A flashmob at Roy Thomson Hall organized by Canadians For Israel. A rally of thousands of freedom fighters at the Israel consulate organized by the Jewish Defence League (JDL) against the pro-terror forces across the street. A march of 100+ people from the Israel consulate to Queen’s Park organized by Israel Truth Week, with great support from JDL to support yet another rally for freedom by thousands of people, this one for persecuted Christians in Iraq. I am just home from Toronto. I’m going to write about this tomorrow & post pics after some sleep, but couldn’t go to bed without telling you what a great job you did today! I and others very proud of you. Wow. Thanks for asking me to speak and getting Rev El Shafie to come. What an honour. I’ve already heard from his admin person who “heard it was quite the rally today.” (One Free World Int’l is holding a Standing With Israel Solidarity event at a church, date to be verified). 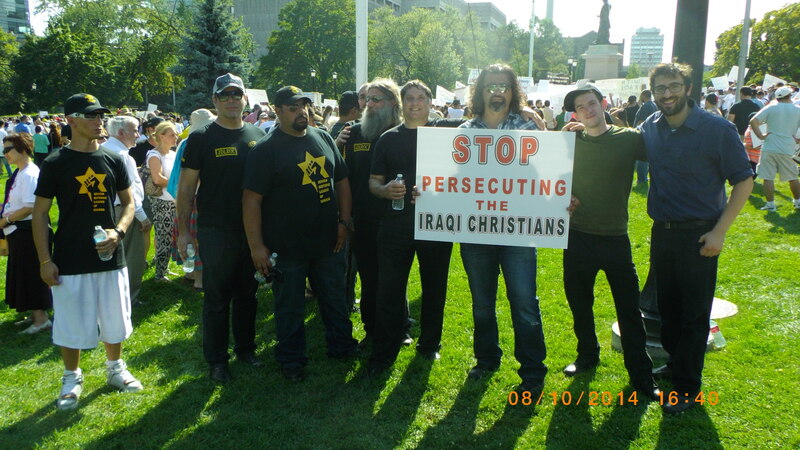 JDL helped me coordinate the ‘walk’ down to the Christian rally at Queen’s Park (as did Canadians For Israel) for Iraqi Christians who really appreciated our presence. I think we had about 125 or more walk down. Wow. Some young JDL guys helped me and they really did you proud with their professionalism and willingness to help made it happen for me/us. Got a great shot of Zaza and gang in JDL shirts holding a sign supporting the Iraqi Christians. They had an agreement w/QP security not to display any flags, so was very rewarding when everyone (not just JDL) respected their urgent request that we not bring in flags & signs. They were very grateful for that. We were there to support them, and it was great to see my Jewish friends, especially JDL, making their event a success and a time to build relationships. JDL organized the sound, the security. JDL supported the Canadians For Israel flashmob with security & generator. Wow. I’m so impressed by what you guys did today, and what you worked so hard to help others accomplish. I have always believed in you, and have always seen you as being leaders in the struggle against evil. You showed great leadership today. Take a bow—you deserve it. Honoured to know all of you. 2. A flashmob at Roy Thomson Hall organized by Canadians For Israel. 3. A rally of thousands at the Israel consulate organized by the Jewish Defence League (JDL) against the pro-terror forces across the street. 4. A march of 100+ people from the Israel consulate to Queen’s Park organized by Israel Truth Week, with great support from JDL to support yet another rally of thousands for persecuted Christians in Iraq. For Israelis: the tunnels made a HUGE difference in gaining strong support for the war. Benjamin Netanayhu’s popularity is way up; no one else is even close. For Gazans: most thought Hamas lost and would choose reconstruction vs. more war. 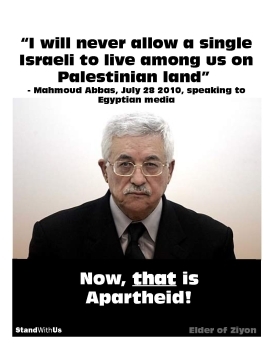 A key difference in this war is that Egypt is not a friend of Hamas. For Americans: 40% believe Israel is justified. 15% think Hamas is justified. These positions are unaffected by tunnels or the number of civilian dead. The majority of those greater than age 50 think Israel was justified. The majority of those under 25 think Israel was un-justified. Casualties make youth more resistant to truth. Non-US citizens: More likely to disapprove of Israel. Please everyone…stop contacting the organizers of Ribfest: Our message was heard loud and clear. The organizers will not allow this to happen again: Israel Truth Week and the Jewish/Israel side WILL have a booth next year…for free. A few supporters who showed up for the Israel Truth Week vigil vs. anti-Israel booth at London, Ontario ‘Ribfest,’ Aug 4/14. A small group of people showed up to stand with us for an Israel Truth Week vigil at the London, Ontario Ribfest today where, for the second day in a row, anti-Israel Hamas supporters were working their propaganda machine to falsely accuse the Jewish state of “mass murder” and “genocide” and the deliberate bombing of civilians. According to a Facebook page set up by David Heap, they were “invited” to have a booth for free. This turned to be only partly true. I regarded it as shameful that those who support terrorists during an ongoing war would use a family festival as a propaganda vehicle, and I had no wish to be part of it, but it simply could not go un-opposed. I unsuccessfully tried to reach the organizers, but with time being of the essence I issued an ITW Action Alert asking people–with barely 2 hours notice–to show up in London for a vigil near the booth today at 4pm, or to write and/or call the organizers and London’s politicians if they couldn’t come.